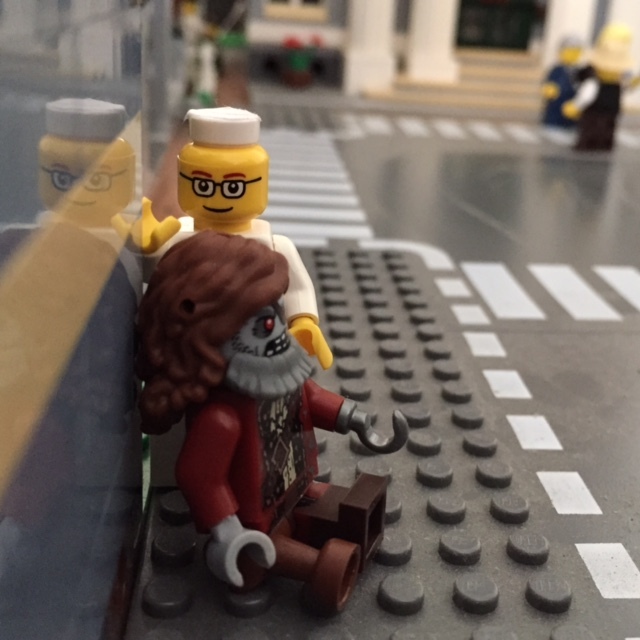 When Pope Francis visited New York City, I made a Lego vignette for the occasion. Shortly before leaving for Portugal, my husband found out that his class, scheduled for one full week, would extend into two because of a national holiday surrounding Pope Francis’s visit. My ears perked up at the news. I remembered the excitement in New York City when the Pope visited in September 2015, especially in my neighborhood because the chef and owner of a local Argentine restaurant cooked for him and his entourage. Pope Francis has brought new energy to the Church, and he has worked hard to draw in young people interested in the message of inclusion and social justice. In his native Argentina, many people had fallen away from the Church because of its alliance with dictators during the Dirty War; in those days, the future Pope intervened with military authorities to free priests and others accused of subversion. While his efforts were relatively insignificant, this experience seems to have taught him much about the importance of human rights and the role of the Church in upholding them. In my travels throughout Latin America and Europe, I’ve noticed that in countries where the Catholic Church stood on the side of the people against governmental oppression, church attendance remains strong and public policy reflects Catholic values. For instance, both Chile and El Salvador — two countries where priests defended human rights and, in the case of the now-sanctified Archbishop Oscar A. Romero and many others, paid the ultimate price — have among the highest church attendance and the strictest laws against abortion in the Western Hemisphere. The same is true for Ireland, where the Church backed the independence movement. Signs point the way for pilgrims to Fátima. In Portugal, I always felt that the bells rang increasingly louder on Sunday in the vain hope that more people would show up at Mass. During the Estado Novo, the government ruled in tandem with the Church, purging those priests, like the Bishop of Porto, who criticized the poverty, growing inequality, and lack of freedoms. One of Salazar’s five “certainties” was “God and His virtue.” Even public schools required prayer and religious instruction. The flock learned obedience and acceptance of their station in life, for the poor on Earth would be rewarded in Heaven. 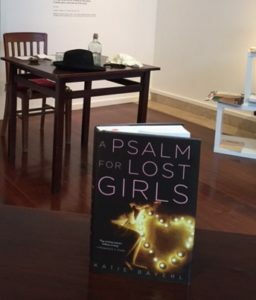 Bad things that happened, often at the hands of the powerful and callous, were said to be God’s will and/or punishment for sins. Communism, or any effort to give people freedom or improve their lives by changing the balance of power, was the work of Satan. Into this history, the new Pope has come with a message of change. His visit to Portugal coincided with the 100th anniversary of the miracles at Fátima. On May 13, 1917, three shepherd children — seven-year-old Jacinta Marto, her nine-year-old brother Francisco, and their ten-year-old cousin Lúcia dos Santos — witnessed the appearance Virgin Mary while they were building a wall to prevent animals from destroying some bushes. Over the next six months, the Virgin Mary appeared five more times, each on the 13th day of the month, with the last visit in October 1917. Jacinta and Francisco Marto did not survive into their teens; both died from complications of the 1918-19 influenza epidemic. Lúcia became a nun and died in 2005. Pope Francis canonized the two Marto children on Saturday; the process continues for Lúcia. More than half a million people attended the Mass, many of them traveling from Spain, elsewhere in Europe, or the U.S. and Latin America. 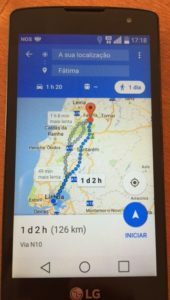 Having made the pilgrimage to Fátima — some by foot according to tradition — many will continue northward to Santiago de Compostela in Spain near the border with Portugal. The walk from Lisbon to Fátima. Pilgrims often camp out overnight. 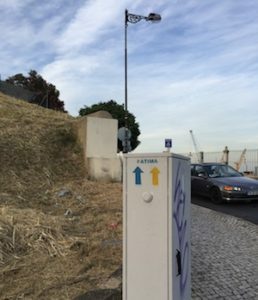 Although I’ve never visited Fátima, I’ve seen pilgrims wearing their yellow vests with reflectors, following the small signs that mark the way. Among the messages the children received from the Virgin Mary was a prediction of the Communist revolution in Russia. During the Estado Novo (and even afterward, until the fall of Communism and the breakup of the Soviet Union), prayers included one for the conversion of Russia. Here in Lisbon, I saw graffiti calling on new prayers for Russia, referencing election interference in France (which has received the bulk of coverage here, and not a small amount of relief at the defeat of National Front candidate Marine Le Pen) and the United States. Portuguese commentators hailed Pope Francis (or Papa Francisco, as he is known here) as someone who can unite the left and the right. His homily stressed the importance of hope in dark times. He called upon all of humanity to follow the model of Jesus in caring for those who are ill, disabled, prisoners, the unemployed, the poor and abandoned. He envisioned a Church that looks beyond itself, that reaches out to others, is inclusive, and respects freedom. My friend Katie Bayerl’s new novel, A Psalm for Lost Girls, was inspired by her visit to Fátima. 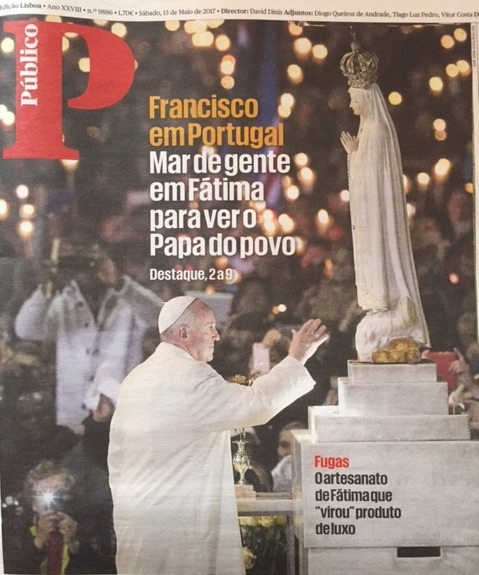 The impact of the Pope’s visit to Portugal remains to be seen here. Fátima is now nearly empty, and the people have long passed through the rail station near the former convent where I’m staying. Last year when I attended Mass at the Lisbon Cathedral, most of the people there were visitors, in contrast to the well-attended Mass that I attended in Dublin. Although I’m not Catholic, I think it’s important to have strong religious institutions that provide a sense of community, help for people in need, and a voice for the universal values of justice, mercy, and the Golden Rule*. Interesting insights, as always. Thank you for posting this, Lyn. Thank you, Pam! I was glad to be in Portugal at this time, even if I didn’t get to see Pope Francis personally. In fact, the turnout was lower than expected because people feared lack of accommodations. Herman and I visited Fatima just after Pope John Paul’s visit there. Herman’s commentary was very interesting.